Not many people have heard of the tetra-decathlon, a hugely difficult race of 14 track and field events, and even fewer people compete in it – just 12 women entered the 2017 world championships. 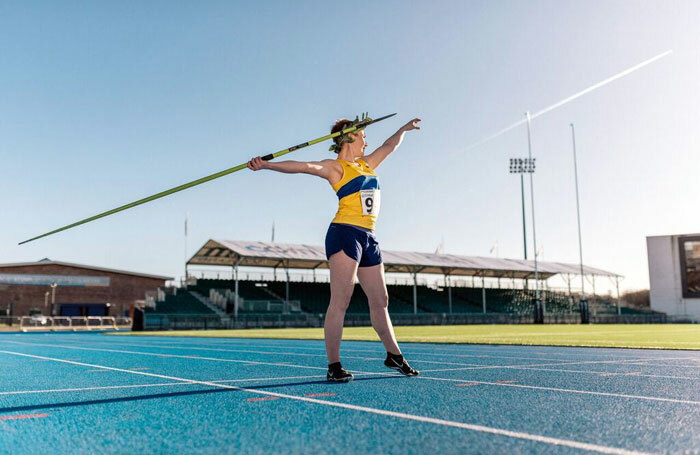 Never having played track and field sports before, and searching for her ‘thing’ – a unique interest to define her – Lauren Hendry decides that she will enter and come 13th. It does come to define her, as she spends the next 600 days rigorously training for the race. She describes herself as a “serious amateur”, lacking skill but overflowing with determination. Documenting the training process, Hendry explores the psychology of competitive sports, describing the experience of finishing a race after her set target as “losing a race against [herself]”. The show hits all the narrative beats of conventional underdog sports movies – trying, failing, nearly giving up, trying again, overcoming an obstacle, finally succeeding – and it could perhaps make the pursuit of excellence a little more problematic. Though the story is straightforward, there’s lots of pleasure to be had in Jenna Watt’s simple, sleek production which places a large digital time display behind Hendry, counting down the days till the race, and punctuates the storytelling with a bright, lively score by Scott Twynholm.